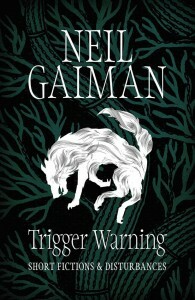 It took me a lot longer than I thought to read Neil Gaiman’s latest collection of short stories, Trigger Warning, published in February this year. And I have to confess that I still haven’t read the whole thing cover-to-cover, for no reason other than that I am too scared. But that is just a mark of Neil Gaiman’s skill. Trigger Warning is a collection of ‘short fictions and disturbances’, but for the most part it is thought-provoking or macabre rather than disturbing. Though it’s hard not to flinch at times. I was surprised to find that one of the most enjoyable parts was the introduction to the collection, in which Gaiman explains his inspiration and the context for each of his works. 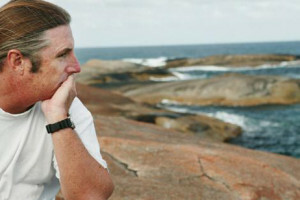 He developed the title for the collection from the concept of trigger warnings on the internet, which have begun to be used in other contexts as well. Should we then consider ourselves warned or prepared for whatever personal responses we may have to the text? I found his exploration of this idea very interesting, but also found myself shying away from certain stories that he introduced with connotations of horror, (‘My Last Landlady’ and ‘Click-Clack the Rattlebag’) taking that to be a kind of trigger warning. The reader is able to learn a lot about the author as a person if they take the time to read the words before the real collection begins, and dispel some of the mystery and ambiguity that tend to surround short stories, which often are removed from a clear context. But this can be what makes them so engaging. Gaiman is adept in writing short fictions. He balances well the reader’s interest and the subtleties of the messages he conveys. I have always enjoyed Neil Gaiman’s fantasy novels, but this collection goes beyond fantasy to explore a range of different genres and styles, ranging from questionnaires to stories based around tweets (which were quite good, despite their unusual origins) to an episode of Doctor Who, which I have always avoided and never liked, but had to admit was well-written. No two works are alike. In this way, it offers something for every reader, if you have the patience and courage to find it. I do hope that one day I will be able to read those two remaining stories, because if the rest of the collection is anything to go by, Gaiman’s storytelling will be superb. The final instalment of Rick Riordan’s Heroes of Olympus series, was released last October. Having followed this series for years, I went out to get a copy of The Blood of Olympus as soon as I could, but only got around to writing a review two months later. Sorry for the wait. 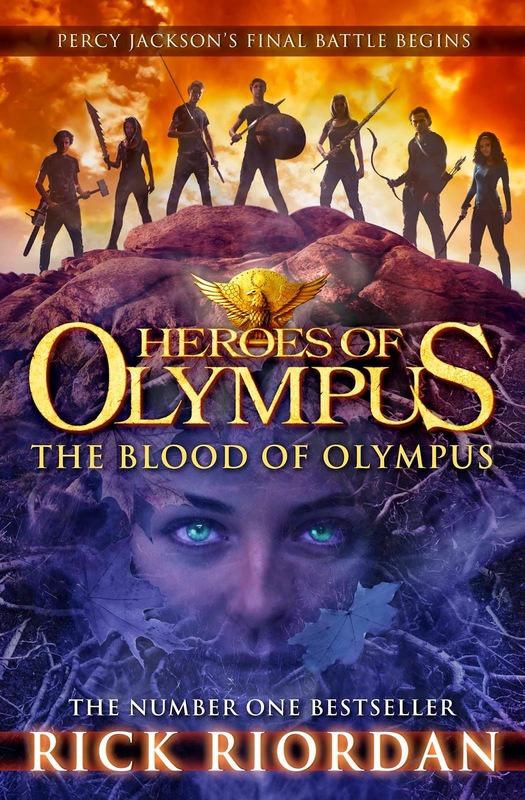 The Blood of Olympus tells of the final, epic battle converging on the Acropolis of Athens, the birth place of the Greek Gods, but also much closer to home at Camp Half-Blood. With the fate of the world riding on the crew of the Argo II and their impossible plan to stop Gaia, every minute counts. But the reunion of the seven demigods is bittersweet, as the prophecy looms over them promising death and destruction. 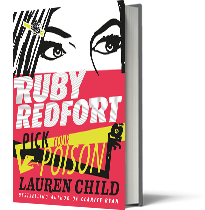 Once again, Riordan has delivered an exciting, humourous, plot-driven instalment in the series. There was more of a focus on the minor characters from previous novels, Reyna and Nico, which offered a new perspective, but became frustrating at times when the focus was diverted from the main action. The histories of these characters provided a much more complex background to the story, and revealed important events and individuals who had shaped these characters and influenced every decision they made. As the story drew to an end, I was desperate to get inside particular characters’ heads, but was instead stuck with characters who I felt had already finished their stories and had provided the reader with enough closure. Don’t get me wrong, the narrative, almost written in third person at times, was effective in showing the extent of everything that had happened and concluding other stories from afar, but I would have liked a more intimate account from each character. I wasn’t as emotional as I was reading the final Percy Jackson novel, or even the rest of the Heroes of Olympus series. I felt oddly removed from the characters. I did enjoy the novel – I was just expecting an epic finale to the series that I had loved for so long. And in reality, Riordan did deliver this. It just didn’t feel as powerful or resonating as it could have been. Among other things, this really delayed a sense of closure until the very end of the novel; it was hard to believe that it was really over until the last page. And even so, I feel as though there is still enough material to write another five books – but that might be pushing it. Nonetheless, all fans of this series will be compelled to turn each page, and wait nervously for the end. This series has grown with its readers, coming a long way since Percy Jackson’s first adventures. It feels almost like the end of an era as you reach the back cover of this novel, but Riordan promises plenty more modern mythology to come. The division of people by people is a phenomenon which has been causing strife for centuries. Many authors have explored these issues from various perspectives in various different settings in time and space, both real and imagined. 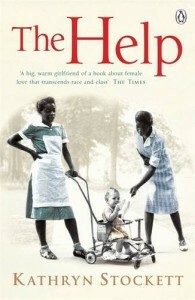 In Kathryn Stockett’s The Help, many different perspectives of racism in the deep south of America in the 1960s are brought to light. 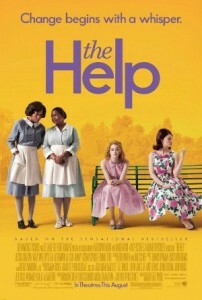 Three different women convey Stockett’s story, each with a unique link to the issue explored. Aibileen has raised seventeen white children in her role as a maid, and watched as they all have grown into another generation divided by race, leaving the behind the colour-blindness of childhood. Minny has always known that she would be a maid, leaving school at fourteen like her mother before her. But she never left behind her sharp tongue and love of food. Skeeter was raised on a cotton plantation by her maid, who disappeared while she was away at college, and still no one will tell her where she went. Brought together by a desire for change, Aibileen, Minny and Skeeter take it upon themselves to challenge the system in Jackson, Mississippi, and risk losing more than their friendship. I really enjoyed the pace of this book and the different perspectives offered by each character. I was impressed by the distinctive voice created for each narrator, as it is so easy for the narrative voice to become a single entity, even when composed of more than one person. Each woman is witty, admirable and has overcome their own challenges of living in Jackson. Each chapter disclosed more of the dangers of being the help and, ironically, trying to help them. Learning more about the twisted system that placed them at the bottom of society encouraged me to keep reading, as it seemed the odds were impossibly against the protagonists. The expression of their anxiety over their fate underlies each chapter and is woven so seamlessly into each character’s mannerisms that I almost didn’t notice how often I was making excuses to pick up the book again. Aside from the tension and the desire to know what happened, this book was a joy to read and the intimacy of each character’s narration really allowed me to empathise with them and build a strong connection with Aibileen, Minny and Skeeter. I wasn’t only interested in the success of their campaign for change, but also in each individual’s fate. Stockett has managed to capture perfectly that life has to go on, even in the middle of adversity. She has conveyed the sacrifice that each woman has made quietly every day, in order to make a change that will actually be noticed. This book is about so much more than segregation. Stockett explores what we define as family and love, and examines the trust between friends that is strained when dreams fall short. This is a brilliant book that presents a universal message and is written skillfully. 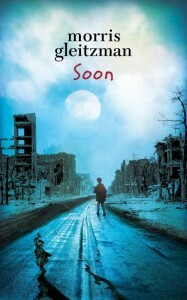 I haven’t seen the 2011 movie, but if the book is anything to go by, it must be pretty good. There are some books that are remembered for much longer than their authors are alive, and for good reason. But why do we keep coming back to the same old stories? And the ones our parents and grandparents read before us? There must be something in these tales that transcends time, age and the changes in society; perhaps the books present some much deeper significance. This is not a particularly well known novel by today’s standards, but it did receive some fame when Emma Watson portrayed the eldest Fossil sister, Pauline, in the 2007 film of the same name. This book has been adapted for television and film since it was published in 1936. Pauline, Petrova and Posy all come to live in Cromwell Road, each found and adopted by their mysterious Great Uncle Matthew in his travels. The three girls from dramatically different backgrounds grow into young women together, each finding their calling in life. 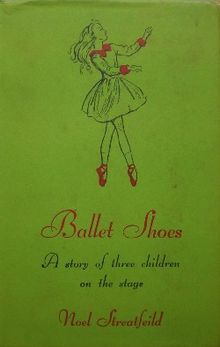 I love this book, possibly due to my own interest in dancing and acting, but it contains beautifully poignant messages of love, dreams and hope. The story is very raw; it does not hide the struggles faced by these girls, nor are their dreams granted with the wave of a wand. Their determination and hard-work make for an inspiring read. I recommend this novel for readers around 7-13, although age doesn’t really matter, and I think older readers will be able to appreciate better the struggles these girls face. This tragic story of love, passion and hatred is widely known as a classic. Yet it would seem that a lot of people haven’t read it, only laughed at Kate Bush’s outrageous dance moves. I first became interested in this novel while reading another book a few years ago in which the protagonist was an avid reader of the Bronte sisters (A Girl Like Me by Penny Matthews). But it was only recently that I read the classic myself. Bronte explores the relationship between two families, both isolated from society on the English moors. 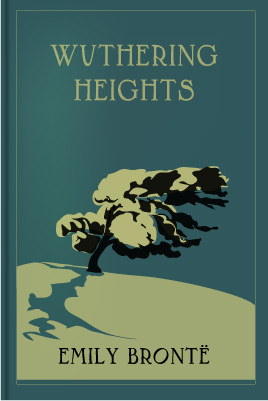 The novel follows the life of Heathcliff and his obsessive love for Catherine Earnshaw, who is always just out of his reach. It is a dark story that delves into human nature and relationships at their worst and examines the power that love and hatred can have, ultimately tearing families apart. I was shocked at the brutality of Heathcliff who held power over so many of the characters in the novel, and amazed at his sheer endurance. His legacy of passion, and the love that managed to survive in its wake, is what makes this book so memorable. It was a captivating story that I couldn’t help feeling emotionally entangled in. It was frustrating at times to read on in silence as characters made mistake after mistake, but it was a truthful reflection on how hopeless life can sometimes seem. I invite you to give this book a chance, if only because it is a classic. But furthermore, it is a novel wrought with emotion and is overwhelmingly human, better for all its characters’ flaws. We’ve all had to do it at some point in our lives. Some enjoy it, others loathe it, and many just pretend they did it and nod along whenever it comes up. Sometimes you have to read books for school. I have already read three books for English this year, and I cannot say that any of them were truly bad books. They were all exemplary pieces of literature. I have noticed, though, that a lot of people seem to hate every book we have ever read in class, and I wonder if this is more a matter of principle than of actual dislike for the novel. It is likely that people say they didn’t like the book simply because their teacher picked it and made them read it. I enjoy reading, so I never have much trouble getting into a book at school, but others have to fight against the idea of it being a textbook to actually appreciate it as the novel it was intended to be. 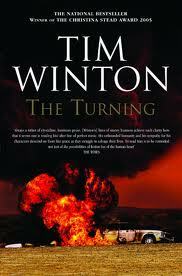 One of the books I have read this year was Tim Winton’s The Turning. I am a fan of short stories, which helped me to really appreciate this collection as a whole and as I read each self-contained journey. Winton presents seventeen interwoven stories all set in rural Western Australia. They explore themes of redemption, love, obsession, regret, escape and forgiveness (amongst hundreds more) in stories about moments of turning in each character’s life. Winton’s universal messages resound throughout this poignant collection. His beautifully descriptive style paints a complex and intriguing image of Western Australia, as harsh and unforgiving as many of the characters portrayed. Above all it is honest. No details of human weakness and failure are omitted – this is a raw and profound piece of writing. Winton’s characters were flawed, but strong because of it. In each story there are moments of redemption and hope, but in reading the collection as a whole, the reader sees each character’s journey in relation to others, and a community of individuals, each with their own turning points, emerges. It is clear that there is not just one defining moment in each character’s life, but many that together shape them as a person and allow them to grow over time. Personally I have a fascination with time, and Winton really makes use of this intangible concept throughout the collection. The stories are not in chronological order, nor is it easy to discern what a chronological order would look like. Instead the pieces flow effortlessly back and forth through time, connecting and appearing in other stories until, by the end of the collection, we are presented with something not unlike a spider’s web. It is complex, fragile and a work of art. There is so much more I could say about this collection – it is wrought with amazing technique and contains messages that ring true in the world today. Winton not only delivers seventeen stories, but also seventeen honest accounts of humanity and a commentary on the society around which this collection revolves. I really encourage you to give this book a chance, as Winton gives those individuals brought down by society the chance to reinvent themselves and show their strength. It is really a lesson in accepting not only others’ flaws, but our own. No one is perfect, but in moments of turning towards the truth, we can see ourselves in perfect clarity. Can a good read be guaranteed? What do you notice first about a book? Is it the title? The cover art? The author? A reduced price sticker? Or perhaps a red dot on the front cover guaranteeing that you will love the book or you can have your money back? While this wasn’t the first thing I noticed about The Firebird Mystery, by ebook author Darrell Pitt, it certainly lingered in my mind as I read the book. Am I the only one who finds it a bit strange that a book could be guaranteed to be loved by everyone who picks it up? Having read this sticker I felt a certain anticipation for what lay in store. After Jack Mason’s parents die in tragic accident involving a trapeze, faulty safety nets and the only home he has ever known, Jack is sent to live at the inappropriately named Sunnyside Orphanage. That is, until he becomes the assistant of Ignatius Doyle, the best, and most unusual, detective around. Thrown into a whirlwind of danger and mystery, Jack must risk life and limb to help the beautiful and modern Scarlet Bell find her kidnapped father and prevent a terrible weapon being unleashed on the world. But only the combined wits of Mr Doyle, Scarlet and Jack will be able to defeat the evil Professor M.
I loved the plot and setting of this book. The mystery was interesting and I could relate it to real events. The slightly altered London on the brink of World War II was so detailed I could see it clearly in my mind. However, it was quite hard initially to determine where this version of London was coming from. The narrative was written with a huge Victorian influence, Scarlet was a proud suffragette, everything was steam-powered and electrical lights were an alien idea, but giant ‘metrotowers’ reached out into space. This steampunk paradise was the perfect setting for the story to take place. However, the intricate and mostly well-planned plot just travelled too fast in the beginning of the book. I didn’t get a real feel for Jack’s former life in the circus, and only caught a glimpse of his struggles in the orphanage before he was whisked away to Ignatius Doyle’s side. The pace slowed to introduce this quirky new character and the equally outrageous apartment he lived in, but then picked up promptly after Scarlet was introduced, and thoroughly admired by Jack. After recently reading A Series of Unfortunate Events, these early chapters very much reminded me of Snicket’s fast-paced flair, but as the book wore on the similarities weren’t developed any further. I found it a little hard to believe that Jack would run across London after a suspected murderer for two people he had just met. And the risks kept coming; Jack jumped onto steamships kilometres up in the air, rode on the roof of– . . . well, let’s just say this boy has nine lives. The relationship between Scarlet and Jack, while sweet, was painstakingly awkward and slow. It seemed like the both of them were very open and vocal about their feelings, but neither acted on them. And the few times Jack did speak up, what he said was not very realistic, even for the era and awkward age they were both in. However as the book is clearly aimed at younger readers, the odd taming of the romance may be intentional. Overall it is a fun and interesting story that definitely has its highlights. However I can’t say I loved this book. I mostly liked it, but I certainly can’t guarantee that everyone who reads it will think it’s fantastic because it is clearly aimed at kids who are interested in adventures and crazy machines. For the publishers to draw attention to the fact that they are entirely confident in the book’s success only encourages people to judge it more harshly and expect too much of it. If they really wanted the book to sell, they should have just let the praise from other authors and magazines do it justice, as well as the merit of the story itself, of course. 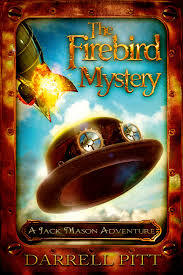 The Firebird Mystery will be published on the 26th of February 2014. 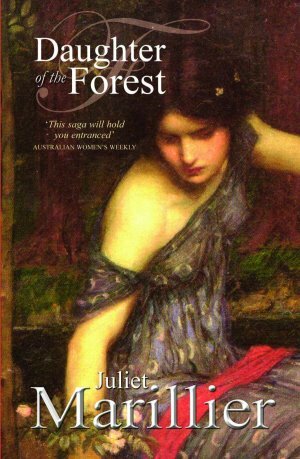 I was given the first instalment of the Sevenwaters novels by Juliet Marrilier as a Christmas present, and found myself hooked. It is an authentic story of a young girl living in Ireland in a time of war with the Picts and Britons. 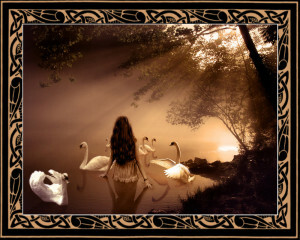 Woven with Irish folklore and spirituality, it is something of a fairytale, however a very painful and grown up one. Sorcha is the seventh child of a seventh son, and is the only girl in a world of men. She loves her six brothers dearly, who have raised her since their mother’s death. This love is tested when her father’s otherworldly new wife begins to wreak havoc throughout Sevenwaters, cursing her brothers to years of pain. Sorcha is the only one who can save them through an impossible task that takes her further and further from her home and happiness. Despite its length and weighty content, I found myself unable to put this book down. After days of reading I was delighted to realise that I still had a large portion of the novel to go. Sorcha’s story is compelling – I found myself thinking about her dire circumstances almost constantly, unable to believe that such innocence and youth could be destroyed so quickly and completely in the process of saving one’s family. In order to break the curse placed upon her brothers, Sorcha has to remain silent until her other task is completed. This takes several years, and a great deal of the book is set during Sorcha’s silence. She is so fully enveloped in it that at times I forgot I still had the freedom of speech and would only nod to my family when spoken to. It is hard to fault this book – it is very true to itself and really does transport the reader to ancient Ireland without any stereotypical knights in shining armour or princesses that need saving. It is written with appropriate language, thought and concept, solely through the eyes of Sorcha. Because of this, it is often hard to grasp the logic of the conflict between Sorcha’s kinsmen and those she comes to know, as she is confused about the fighting herself. Often Sorcha’s plight is so hopeless that is is hard to see a light at the end of the tunnel and resolution to the tragedy that is this poor girl’s life. I found this suspenseful, but others may find it off-putting. I can promise you a hopeful and rewarding ending for our very deserving heroine that will put your mind at ease. There are a few, rare incidents that could be distressing for younger readers, particularly female, as they are brutal and unforgiving. and taint Sorcha’s mind frame for a lot of the book. For this reason I would have to say that this book is not suitable for readers under the age of fifteen or sixteen. In saying all of that, it is a very enjoyable read, with elements of adventure, romance, drama, fantasy and history that will appeal to most audiences. If you are brave enough to commit to this book (and potentially the series), you are unlikely to be disappointed. I am eager to get my hands on the second book! The Messenger, another impressive and unique novel from Markus Zusak, is not your ordinary card game. Rather, a near impossible quest to not only deliver messages, but to survive and embody their very meaning. 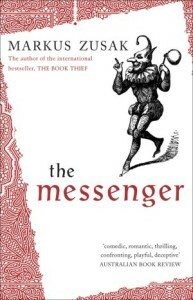 The Messenger looks at human behavior at its best and worst, and is a confronting and truthful look at ‘ordinary’ life. Ed Kennedy is the epitome of ordinariness; he lives a life of boredom, unfulfilled and monotonous. The problems start when Ed witnesses, and spontaneously stops, a bank robbery. The useless gunman is dragged off to a year in prison screaming death threats after Ed, promising that every time he looks in the mirror he will see a dead man. That’s when the first ace arrives. 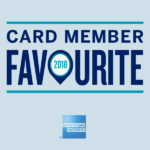 What happens next is a journey to decipher the cards and against all odds help a whole community of individuals in families, all with problems of their own. Ed is confronted with unimaginable tasks and relationships, transforming him beyond recognition and almost killing him in the process. But through the love, hate and pain he experiences, he never wavers in his ‘nervous love’ for Audrey. This is a very well-written and gripping novel, formatted as a deck of playing cards; each chapter is a card and each part a suit. This in itself really interested me; the tension grew as I reached the Jack of each suit, knowing there were only a few chapters left for Ed to deliver his precious messages to those who needed them most. But to be honest, I found that the early cards of each suit were often slow in terms of action, and I really wanted Ed to get on with confronting the messages he had to deliver. However this is most likely done for a good reason. Ed feels lost in these chapters, and so should the reader. The characters in this book were quite incredible. In each suit the reader is introduced to three new messages and the people they must be delivered to. Each character is unique and colorful. Zusak has created an intricately woven community of individuals and families, each with detailed stories that are entirely realistic. The town of characters ranged from lonely old ladies to abusive husbands, to weary mothers and beautiful girls who just need someone to believe in them. The plot is very complicated, weaving clues, places and people together, all leading back to one very confused and tired Ed. Ed was a likeable character from the beginning, pathetic, funny and brutally honest. I was immediately sympathetic to his plight and wanted, almost as much as he did, for his relationship with Audrey to work out. In the end I was rewarded with a happy and life affirming ending, yet I was hopelessly confused about what had actually happened. 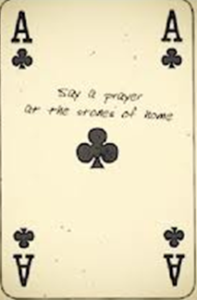 Zusak does his best to reveal the motivation and technicalities behind the aces and their deliverer, but I really didn’t understand how it was all possible. If you have read the book and do understand how they could have engineered Ed’s entire life, please let me know! Regardless, this is a brilliant novel that will make you sit up and think about how you contribute to society. Due to its heavy content, mature themes and a little bit of swearing, it would best be enjoyed by older teenagers and adults. I cannot recommend this book enough; it is not only entertaining, but carries a very important message.